Evoking memories of the clip for Paul Simon's You Can Call Me Al, where Chevy Chase towered over the singer and mimed the lyrics to his song, Sting is a full head taller than Simon as they stroll on to the Hope Estate stage. But that's where the comparison ends. No one can steal Simon's thunder, not even when he scripts it. The man, small of stature and of few words, pens and delivers lyrics with a quiet earnestness that commands attention. In Simon and Garfunkel, the haunting beauty of the harmonies and the considered accompanying musicianship transformed simple, heartfelt folk songs into a soundtrack for many a fan's life. 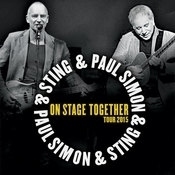 This was the case for Sting, who told the crowd: "I'm sure I'm not the only one to have Paul Simon as a soundtrack to their life." It was also the case for my mother, and for me. Sting, confident and relaxed in his nondescript T-shirt and beard, looked decidedly hipster-ish. The guitar had seen better days, but the same cannot be said of the man holding it. Sting is still very much in his prime. His voice is more powerful and varied live and he is not ashamed to let the joy of performing show on his face. Simon is more the introvert, hiding under his hat and letting his lyrics speak for themselves. But he did say: "It's a beautiful night, perfect for music. I couldn't be happier to be here." This was a musical match made in heaven. Two unique and distinct voices, a talented band and a back catalogue of songs from which to choose that has to be the envy of any artist, living or dead. Thankfully, they chose well. In the three hours they were on stage, either individually or together, the hits kept coming: The Boy In The Bubble; Fields Of Gold; Walking On The Moon; Mrs Robinson; Graceland; Message In A Bottle; Roxanne; Desert Rose; The Boxer; Diamonds On The Soles Of Her Shoes... the list goes on. The final song of the set was You Can Call Me Al, followed by an encore of Cecilia, Every Breath You Take and Bridge Over Troubled Water. Needless to say, the crowd responded. Dancing, singing, clapping along. Even the "bah humbug" man sitting in front of me stood up on more than one occasion, despite himself - much to the delight of his female companion. This was a professional and memorable performance by two music legends. It was a privilege to be there. 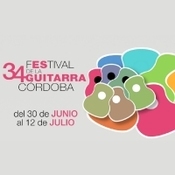 On July 12, Sting will play the Cordoba Guitar Festival in Spain! Tickets will be available exclusively to Sting.com fan club members beginning tomorrow, February 11 at 9AM (local time), with tickets on sale to the general public Thursday, February 12 at 10AM (local time).